Mindset is a topic that comes up quite a bit in the Making the Maven Facebook Group, so this Maven Mini was inspired by everyone in that community! Get ready you guys! 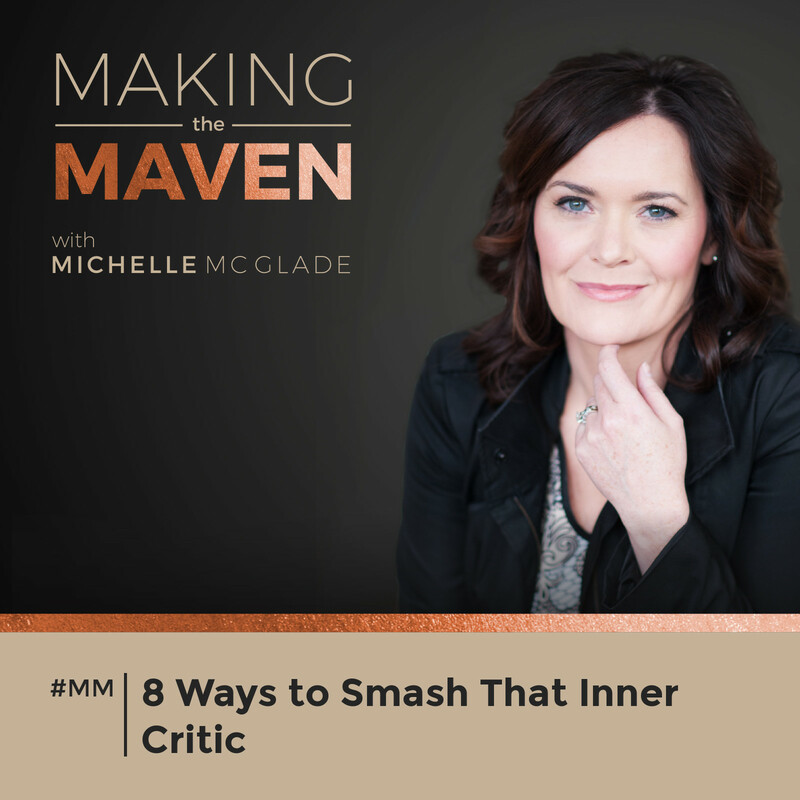 I have gathered 8 tips from the members of the community on how you can smash that inner critic. Let’s get started! Amy loves essential oils and I couldn’t agree more. I use them in my office every day! They are a great mood lifter and can really help you focus. Lisa talks about the importance of setting intentions and goals for yourself, on a daily, weekly, and monthly basis. This is a great way to help you keep on track and a great way to stay focused on the long-term. Detach yourself from the outcome. Fabulous mindset advice from Sharline! You don’t always have control over the outcome, so let it go. Remember, you can only control the actions you take. Observing how you’re feeling without judgment! Understand why you feel the way you do. Feelings are real, so you need to take the time to understand what exactly is going on. Thanks again for some fabulous advice, Sharline! Take time to meditate! Yes! Thanks to Jill for this tip. Amy C. recommends using music to help get out of a bad mood. Play your favorite song! Final tip is from Laura! Stay action oriented. Go one step at a time and take things slow if you need to. Don’t forget to pop on over to our free Facebook community! Before you start your business, think about how you want to brand yourself and how you want to show up in the world. Wow! What can I say? Amy is a serial entrepreneur who has been in business for herself for about nine years; seven of those have been online. She is also a big believer of running a business that matches your lifestyle and because of that Amy is now traveling full time for the next two years. 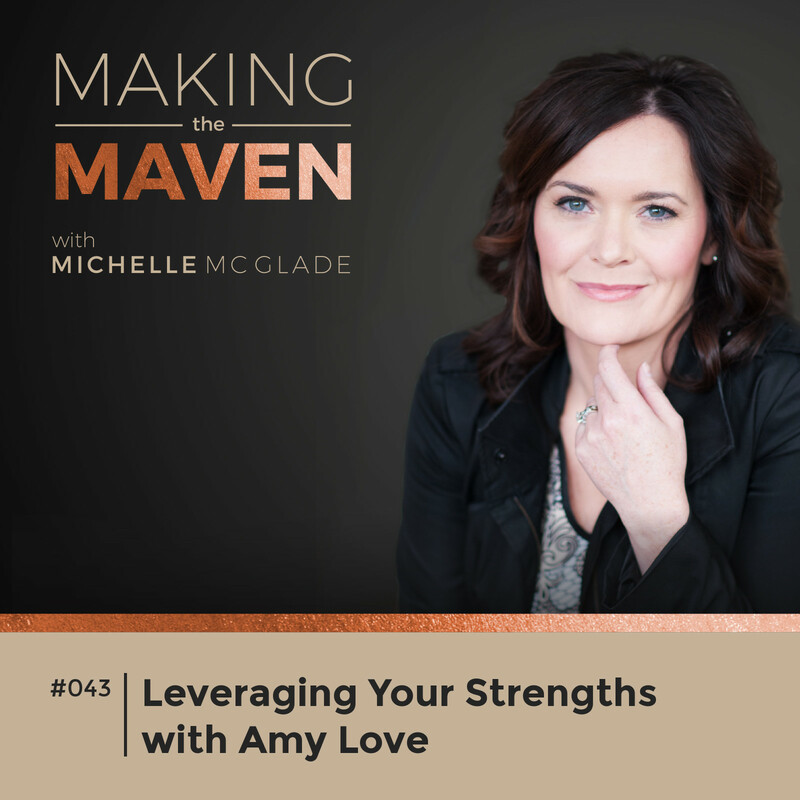 There are so many key insights from Amy that you can only get from someone who is as experienced as she is, so tune in and enjoy! *Thank you so much for listening! You guys are why I’m doing this. *This is a community. We need each other and you’re not alone! *Go to my website to get special VIP pricing! *Amy Love runs Real Food Whole Health. *Amy started her online business 7 years ago. *Online is an excellent way to reach a lot of people. *Your business should support the lifestyle you want to live. *Too many people build their businesses on ‘shoulds’. *Remember everyone, nothing is an overnight success. *It takes a mindset shift to interact with clients online. *An online business is so much more freeing than a brick and mortar business. *The online space gives you the opportunity to create a movement. *Amy started her blog as an online resource for her already existing clients. *Take things step-by-step. You have to start somewhere. 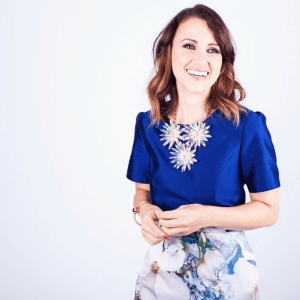 *Learning how to use the ‘tech’ in her business was the biggest challenge for Amy. *Amy’s second challenge was managing a farm. She has had the farm now for three years. *Amy has over 200 animals! *What’s Amy’s key takeaway from that experience? Take a little bit of time to plan. *Take the time to slow down now, so that you can speed up your business later. *Mindset is huge! Keep in mind and know that anything can be learned. There are always solutions to problems. *We really lack community in our day-to-day life, which is why it’s so important to seek out a strong community. *One piece of advice to someone who’s new at this whole business thing? You are the brand. How you show up in the world is your entire brand. *My advice is to always just get started and let it evolve. *Think about your brand before you invest in the big bucks! *Before we sign off, let’s talk about community. *You don’t need an MBA or several degrees to get started, what you need is a community. *It’s not about being everywhere all the time; it’s about building meaningful relationships. Community, community, community! When Amy mentioned this I got excited, because it’s so important to drive this point home to you guys. Too often we feel like we’re alone in all of this and we are simply not! Amy says we often lack community in our day-to-day lives, which is why finding an online community is not only great, but convenient too. We need support, especially in the wellness industry. We are healers, we are givers, but sometimes giving and giving can wear you thin. A community will help bring your energy back, your inspiration back, and remind you why you became a healer in the first place. One of the common mistakes I see people making is that they’re trying to create their business alone. As entrepreneurs, we’re wearing many different hats and this can be extremely overwhelming. People try to set up roadblocks for themselves as well. I hear statements like, ‘if only I had an MBA’ or ‘I need a PhD for that’. It doesn’t take a fancy business class for you to get started! Participating in a community will not only bring you down from needing that fancy degree, but it will also give you the courage and the confidence you need to get out there! Remember, we all need support. Building a business is filled with ups and downs and our family/friends might not be able to offer the best support. Instead of putting all that pressure on one person, like your spouse, you can now look for support in a community of people who have already been there! How great does that sound? A community is also an excellent networking opportunity and a way to build stronger connections with others. So there are many facets to why you should join. I honestly believe you shouldn’t knock it until you try it and the encouragement/support will honestly blow you away once you do! I wrote an article about the five key ways to grow your community online, featured on the Huffington Post. Please check it out and let me know what you think! Since I get the lovely opportunity to talk to you all week after week, I often hear common myths that just seem to keep reappearing. 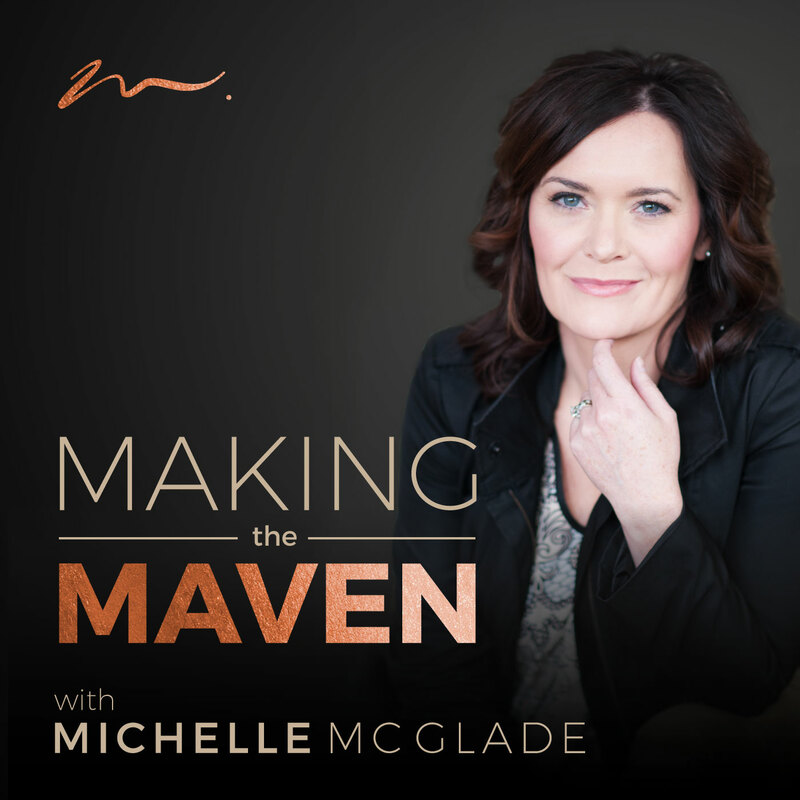 If you’re new to creating an online business, then you’ll definitely want to listen in. Let me help you debunk the myths and break you out of the mold! As I was talking to one of my clients today, one of her concerns was that she didn’t have enough experience. This concern comes up with my clients more often than you may think, but don’t underplay your talents! Remind yourself that you have more than enough to offer. It doesn’t matter what age, credentials, or even how many years of experience you have. You are enough and people need you! You want to serve people and you don’t want money to be an issue. I get that, but let me just tell you right now that this is a lie. This is absolutely not true. People can afford your services! People will pay for what they value. If you forget about everything in this show, just remember that: People will pay for what they value. People don’t want to target a specific niche because they feel it’s not relevant, not enough people are doing it, or there’s not a lot of money in it. Yes, I do believe in market research and I do believe you should cater to your target audience. However, I do not believe there has to be a current model out there for it to work. You can think outside the box to determine how you want to market yourself, so do not let that be a deterring factor to your success. Don’t do something because you think there’s going to be more money in other niches. Do what resonates the most with you. Serve the people YOU want to serve.